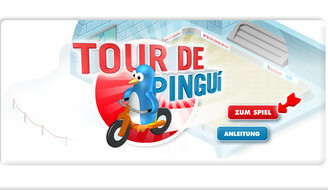 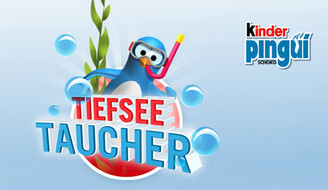 As a giveaway with the Kinder Pinguí family pack we created a CD-ROM series containing all the nice little games that were created over years time for the Kinder Pinguí website, like Tiefseetaucher, Pingui Puck, Pingui Memo, Pingui Parcours, Tour de Pingui and Pingui Mystery. 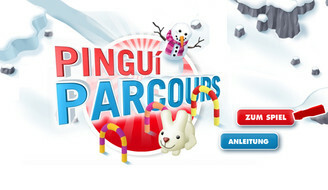 It all starts on a playground island, where the user can playfully choose between the games. 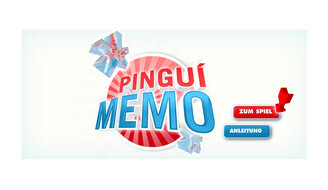 The CD-ROMs had been bilingual published successfully in Switzerland and are stil online available at the Kinder-pinguí website.